I shared a few months ago that we had been chosen as an official BOB Mom. My job is to help share the BOB Stroller brand and product. Personally this is perfect fit, because I already do! We have been a BOB stroller family for the past 7 years (I did have a few stroller free years in there). Now we are pushing around the latest BOB stroller to just hit the market, the BOB Motion stroller. You can’t find this just anywhere! If you want one, you can check them out at REI. I love this stroller! It doesn’t take up the room of the jogging stroller, folds flatter than any other stroller we’ve had, and is able to attach our Britax carseat without any special attachments! This weekend Sarah and I are in Texas for the Blissdom blogging conference (Sarah is becoming quite the little traveler this month). Taking a baby to a conference is a little daunting, to make it even more fun Amy & Baby Adelyn are joining us. Having two babies has to make things better! I mentioned to BOB that it would be great if a BOB Dualie stroller could be waiting for us at the hotel, and they made my year and said yes!! The catch was that I give it away after the conference. That’s where you come in! 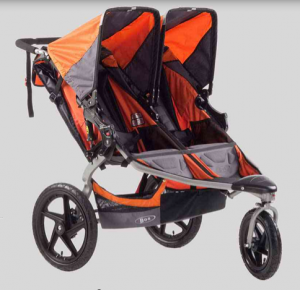 I will use the stroller for a whopping two days and then choose a winner to ship it to when we are done. Don’t worry you’ll never know we used it (assuming I can get it all back in the box the same way). I’d say winning a $500 stroller is awesome whether it was used for 2 days or 2 years! To make it even more fun, they are also going to let me give away one of the new Motion Strollers!!! I’ll giveaway both strollers over Twitter and Instagram. You may not be on either, if you want to win now is the time to start. Seriously need a new stroller @SouthernSavers please send the #BOBMoms Motion stroller here!! You can tweet or instgram as many times as you like over the next two days. I’ll pick the two winners Saturday morning and get your stroller in the mail Saturday afternoon before I fly home (I really don’t want to fly with the Dualie!). Because I have a short time to get this in the mail to you, if you want to win you need to check Southern Savers, twitter or Instagram Saturday morning so I can get your details! 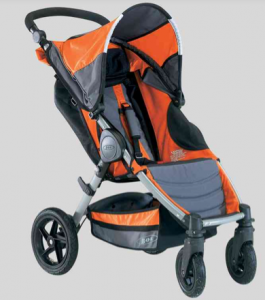 the legal jargon: this giveaway is sponsored by BOB Strollers. The winners will be picked Saturday morning 3/23 at 9 am.